Teaching spelling is certainly not my area of expertise. Having said this and putting all jokes about PE teachers aside I would like to present the following information to get those of you who explicitly teach spelling to think about how you go about teaching spelling and what strategies you use. Research from The University of Tasmania shows gaps exists between the recommended teaching pedagogies within the research literature and the practices implemented by teachers within the classroom, particularly in the middle primary years. Phonological Knowledge: Refers to “how words sound”. 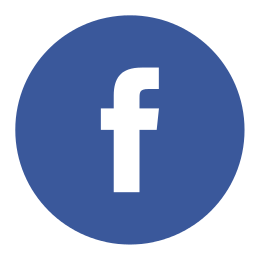 This involves the awareness of words in oral language and the unit of sound that they are formed with, including syllables, onsets and rimes, and phonemes. For example, recognising the separate sounds of /c/, /a/ and /t/ in the word ‘cat’. Visual Knowledge: Refers to “how words look”. This involves an understanding of the written language, including concepts of print, the alphabet, spelling patterns, and the relationship between letters and sounds. Morphemic Knowledge: Refers to “how words change form”. This concerns the structure of words, and how morphemes can be composed together to create a word. It requires understanding of morphemes, root words, prefixes and suffixes, compound words, and spelling rules. Etymological Knowledge: Refers to “where words come from”. It involves an understanding of the origin of words, including those that are derived from other languages. 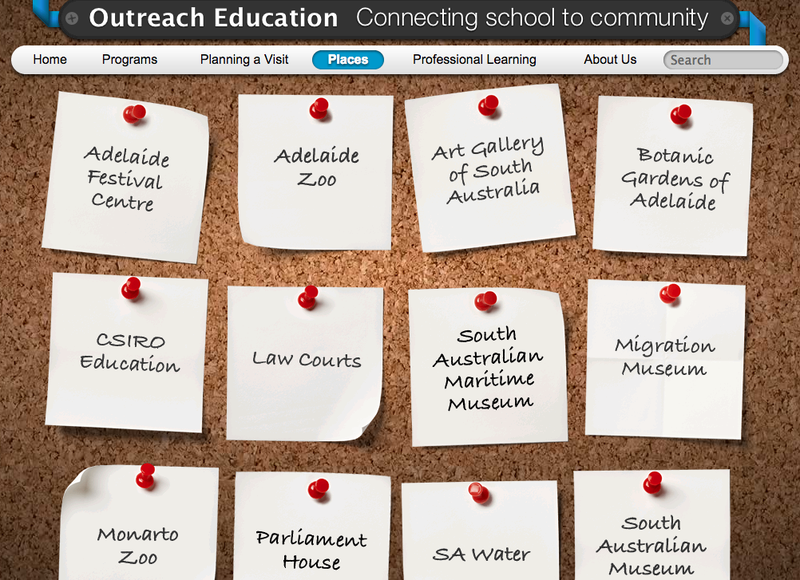 View the following videos from the Teaching the Australian Curriculum English website. The videos explain aspects of the four types of knowledge that research suggests is required to be a competent speller. The teachers and students in the videos are very well drilled. 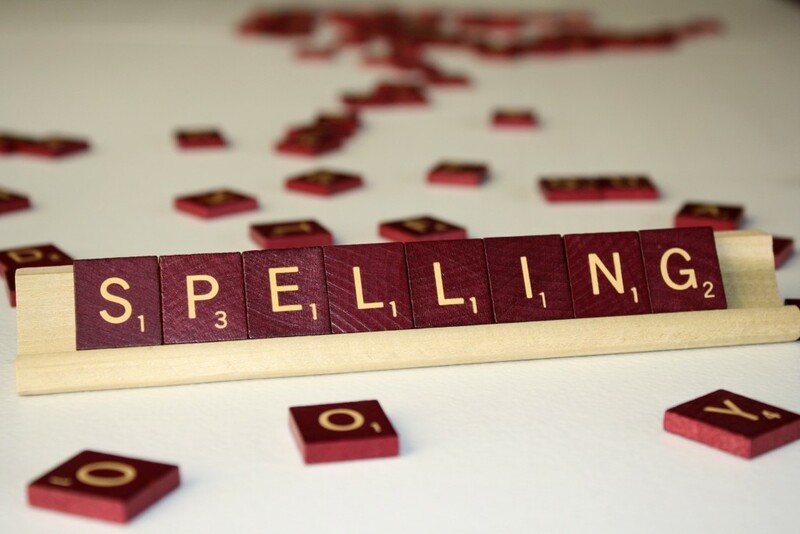 Once you get passed the staged nature of some of the videos there is some good information about the explicit teaching of spelling. On Monday 17th November part of our student free day (9:30 – 11:00) will be allocated to the Australian Curriculum and specifically the Phase 2 subjects HPE, The Arts, Civics and Citizenship, Economics and Business, Design Technologies and Digital Technologies. Those staff not directly involved in the implementation of Phase two subjects will be using this time to work on mapping and resourcing their curriculum areas. Tanya and Justin will be working with the English curriculum on work they began earlier in the year while Joelene and Allan will be working together on the science curriculum. 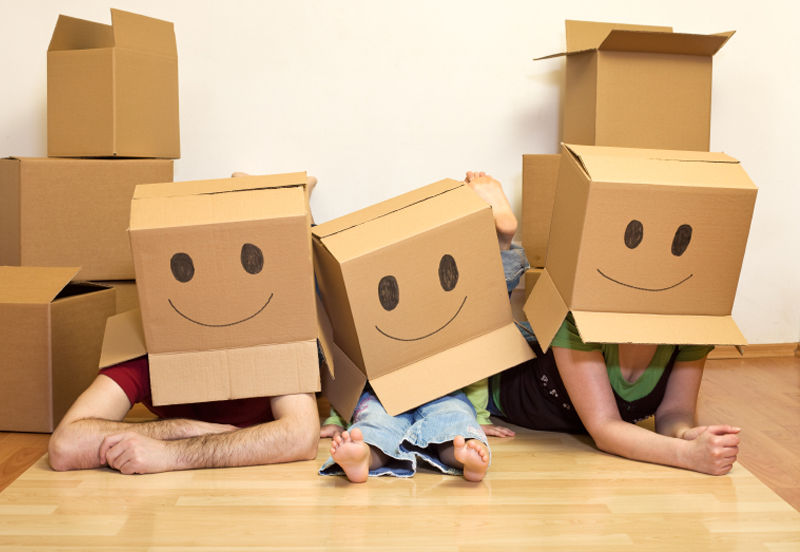 All other teaching staff will be able to focus on the Phase 2 subject of their choice. All AC materials will be provided but it would be useful for teachers to bring current programs in the area they wish to investigate. 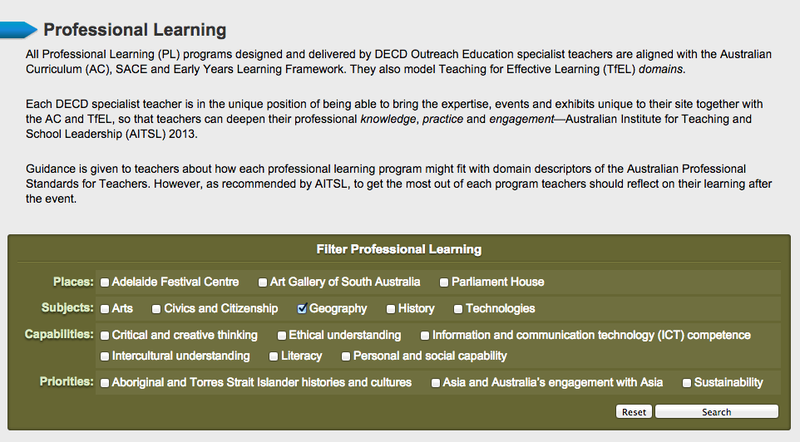 What do I currently do or have done that is required by the Australian Curriculum at this year level? What do I currently teach or have taught that is not required by the Australian Curriculum at this year level? What is new to me that I have never taught at this year level? Do the assessment tasks I currently do allow my students to achieve the Performance Standard and content descriptors to a high level? While no doubt staff have begun to look at their Phase 2 subject(s) this session will provide some time to go deeper into the content. For primary staff it will allow time to engage with an area they may not have had time to consider or look at in any depth. Work will need to continue beyond this day in staff meetings and into next year with regards to Phase two subjects. Professor Ken Wiltshire and Dr. Kevin Donnelly were appointed by the Federal Government to conduct an independent review of the Australian Curriculum. This review has been completed and its findings have been released this month. Read the full report here. You can view the initial response by the Australian Government here. The information below is a summary of this document. The Australian Government’s initial response to this Review encompasses five themes: (i) resolving the overcrowded curriculum, (ii) improving parental engagement around the curriculum, (iii) improving accessibility for all students (iv) rebalancing the curriculum and (v) reviewing the governance of the Australian Curriculum, Assessment and Reporting Authority (ACARA). 1) The Overcrowded Curriculum – The Australian Government supports the Review recommendations relating to overcrowding in the curriculum. We must deal with the overcrowding of the curriculum as a matter of priority. Overcrowding means that teachers are finding it difficult to implement the Australian Curriculum and cover all the content in each subject. There are 4 recommendations listed to reduce overcrowding of the curriculum on page 7 (view here). 2. Improving Parental Engagement Around The Curriculum – Improved parent engagement means that parents have a better understanding of the teacher’s job and school curriculum. When parents are aware of what their children are learning, they are more likely to engage with their children’s learning activities at home. There is one recommendation listed to improve parental engagement on page 8 (view here). 3. Improving Accessibility For All Students – The Review heard evidence that the linear progression of the Australian Curriculum makes it difficult for children operating at below Foundation level and as a result the curriculum is not accessible for the students with additional needs. Parents of the students with additional needs are saying this was not what was promised and that the Australian Curriculum has lost credibility with them. Schools have a clear responsibility to address the learning needs of every one of their students. To better support schools in this endeavour, the Australian Curriculum needs more work to cater for student diversity. There is one recommendation listed to improve accessibility for all students on page 9 (view here). 4. Rebalancing The Curriculum – The Review highlighted that, to varying degrees, learning areas placed a strong focus on some content whilst sometimes completely neglecting other content. The Review’s Final Report has also listed recommendations for changes in the content for each subject area – these are covered in Chapter 7 of the Final Report and cover English, mathematics, history, science, geography, civics and citizenship, technologies, economics and business and lastly, health and physical education. There are two recommendations listed to improve rebalancing the curriculum on page 10 (view here). 5. Reviewing The Governance Of ACARA – Some of the recommendations of this Review go to the role, function and governance of ACARA. The Review identified concerns from some stakeholders that ACARA played the role of both developer and evaluator of the Australian Curriculum. There are two recommendations listed to improve rebalancing the curriculum on page 11 & 12 (view here). What did I find interesting? The information below is taken from the report itself and not the Government’s response to the review. Recommended that ACARA reduce content and narrow the “core” particularly in primary years. Foundation to year 2 should have a stronger focus on literacy and numeracy. Embed Cross Curriculum Priorities (Aboriginal and Torres Strait Islander histories and cultures, Asia and Australia’s engagement with Asia, and sustainability) into areas only where educationally relevant. General Capabilities (Literacy, Numeracy & ICT) remain embedded across all curriculum areas while all other Capabilities only appear in relevant areas of the curriculum. ACARA develop a smaller, parent-friendly version of the Australian Curriculum which clearly explains the intended curriculum a child will be learning in each year they are at school. ACARA make it more clear what is considered mandatory and what is optional in the curriculum. Recommendation to revise the AC to better include emphasis on morals, values & spirituality and better recognise contribution of Western civilisation and our Judeo-Christian heritage. So there you have it. I wonder how much the current curriculum will change based on this review? Will it be significant or will it end up being just a tinker around the edges? 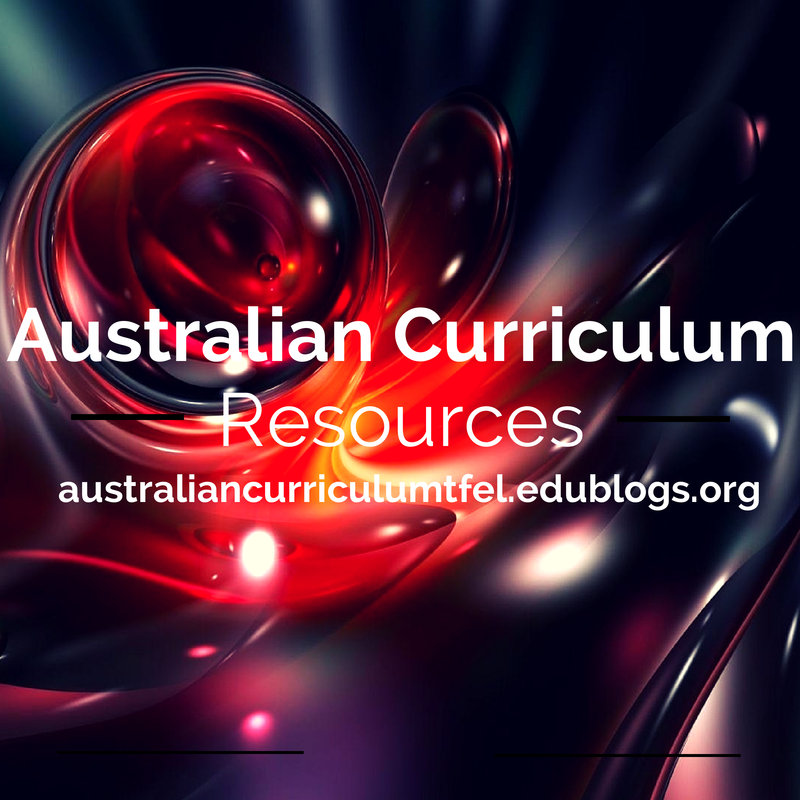 Below are websites that provide units of work, or resources for planning units of work linked to the Australian Curriculum. 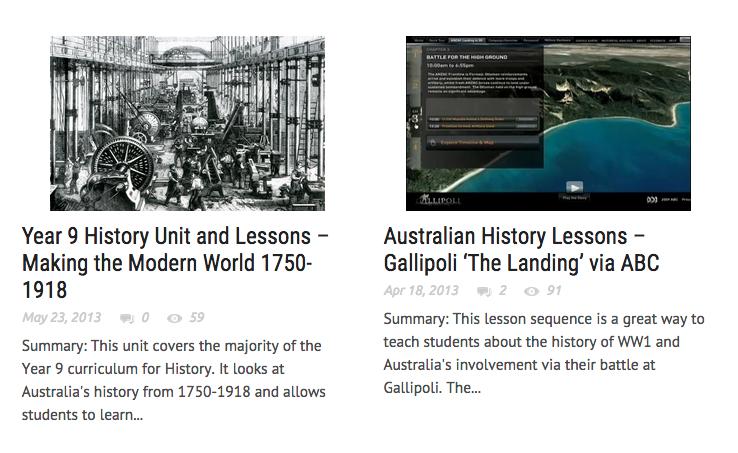 AC History Units presents 8 units developed by the History Teachers’ Association of Australia to support teachers in the implementation of the Australian Curriculum: History. There are five art forms specified in the Shape of the Australian Curriculum: The Arts. They are Dance, Drama, Media Arts, Music, and Visual Arts. Arts-POP shows how each art form makes a distinct contribution to cognition by drawing on each child’s senses and imagination. Each art form is valued equally within the generic learning area of the arts. This interactive web application to facilitate collaboration and innovation across all five art forms in your classroom. Regardless of your existing skills and knowledge, ARTS:LIVE provides extensive cross-curricular content, with sequential instructions to bring the arts alive. 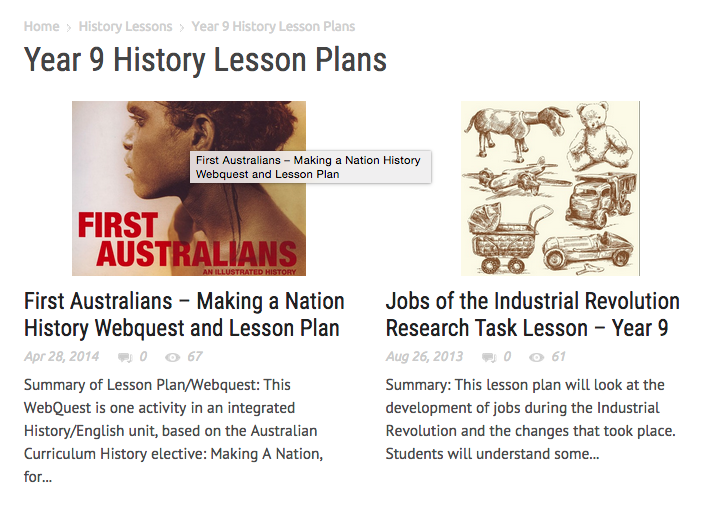 Australian Curriculum Lessons is a site designed for educators in Australia. 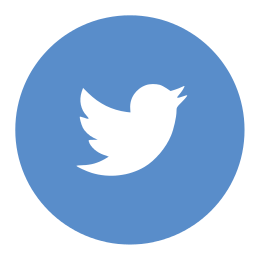 A user-submitted site who depend on teachers to post their great lessons so that other teachers can get ideas and lessons to use in the classroom. The aim is to create one of the largest curriculum-linked lesson sites that values innovation and excellence in the teaching profession. 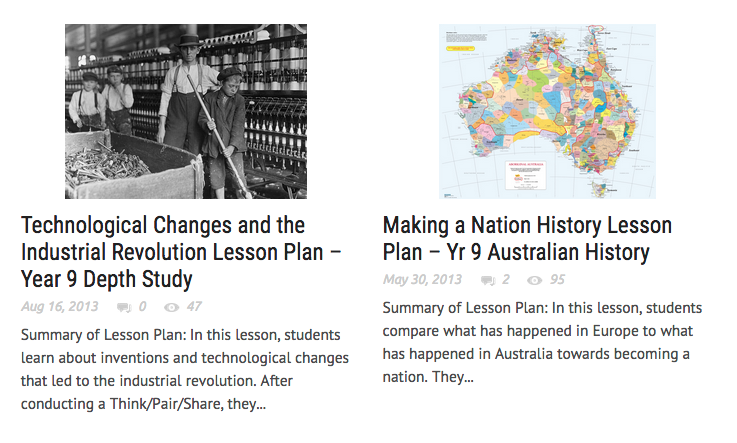 A site that also allows teachers to show off their skills in planning lessons and creating wonderful learning experiences for students in Australia and the rest of the world. For a wider range of resources for all subject areas (some linked to the AC and some not) go to the top of the blog and click on the curriculum area page you would like to see resources for.